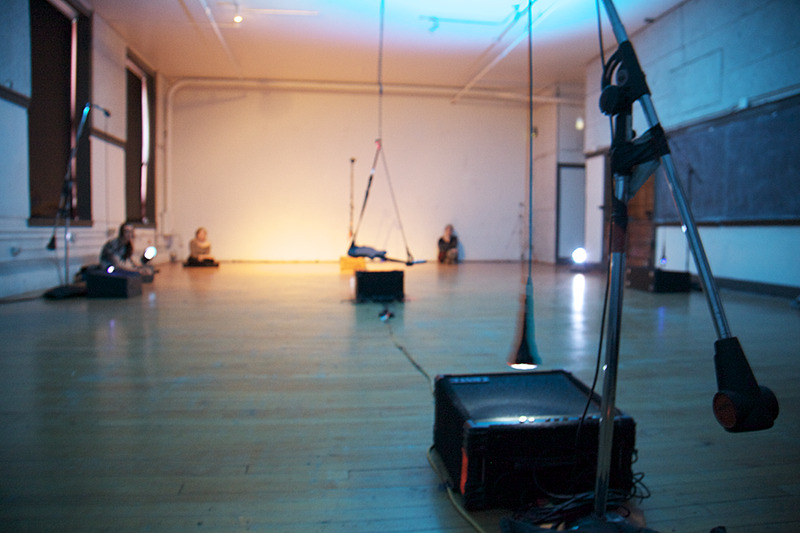 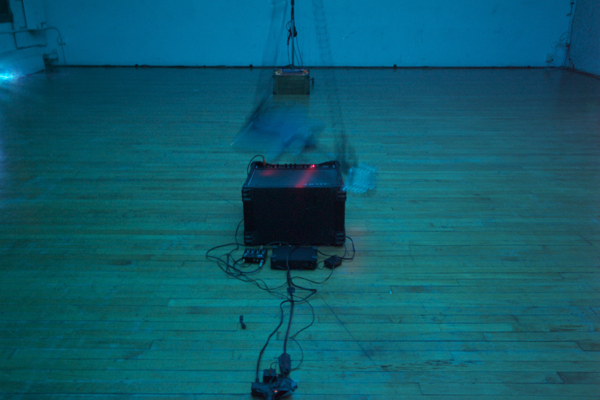 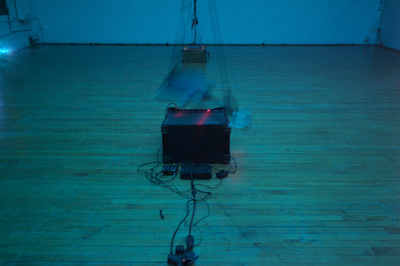 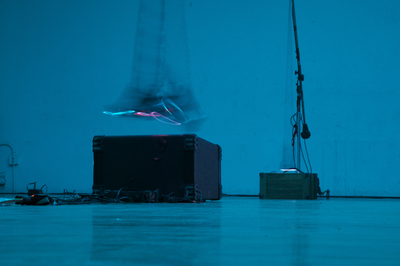 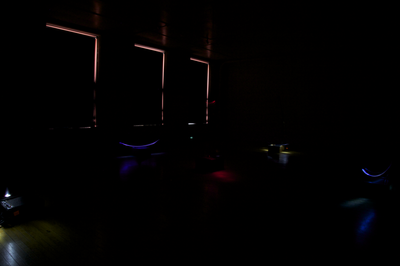 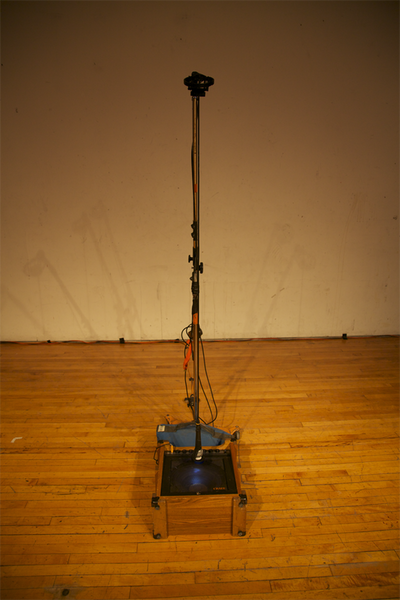 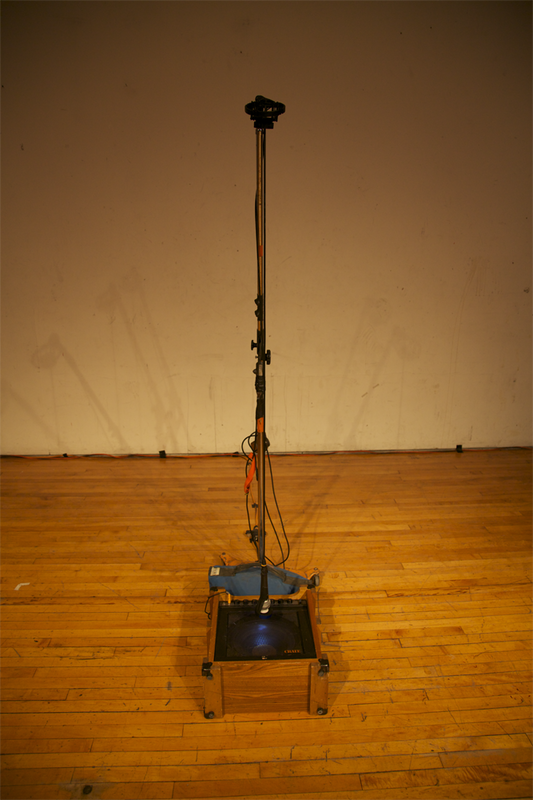 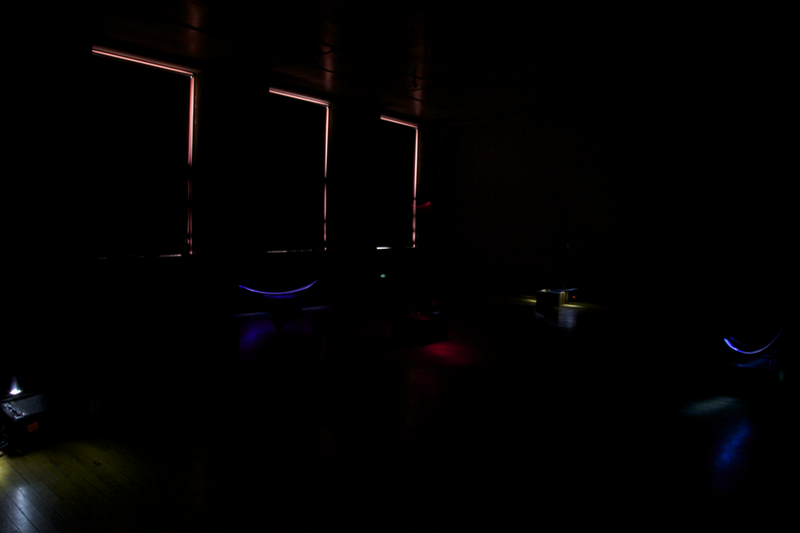 Installation/performance by Jessica Lynch and Amy Mills at Massachusetts College of Art, 2011. 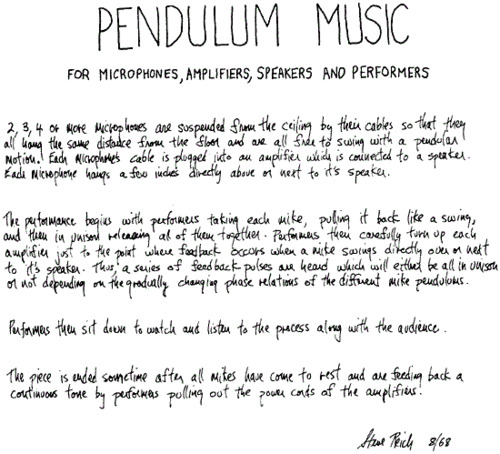 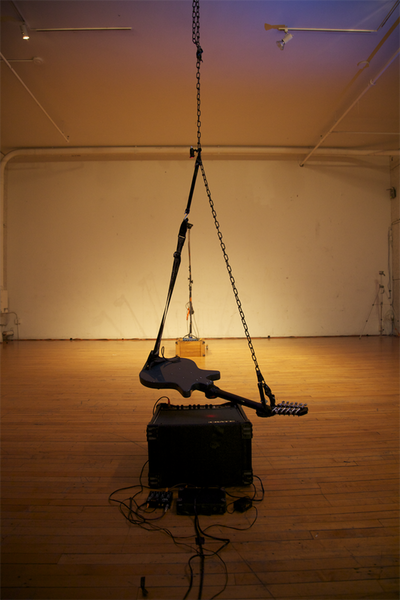 Arrangement of Steve Reich's "Pendulum Music" for electric guitar and four microphones. 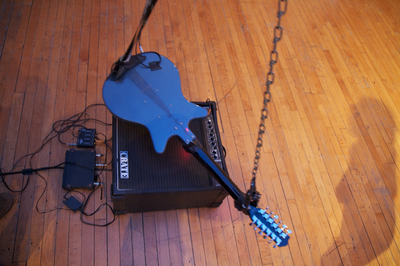 Four microphones and one electric guitar were suspended over five amplifiers arranged in four quarters. 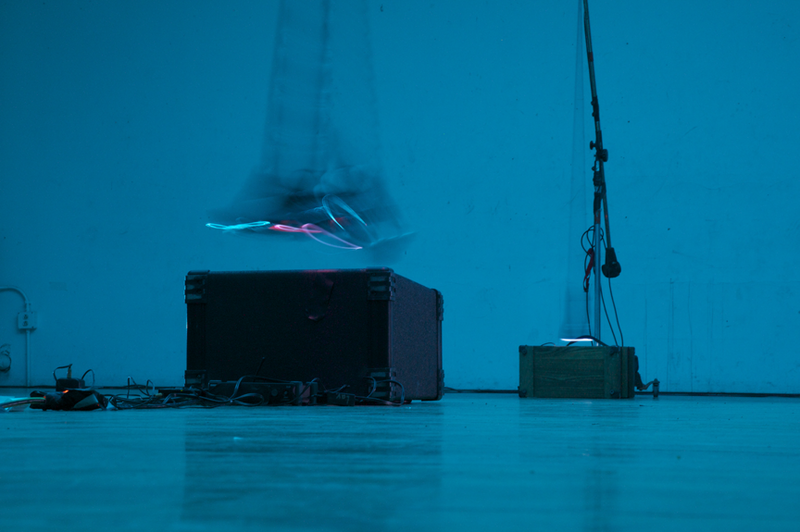 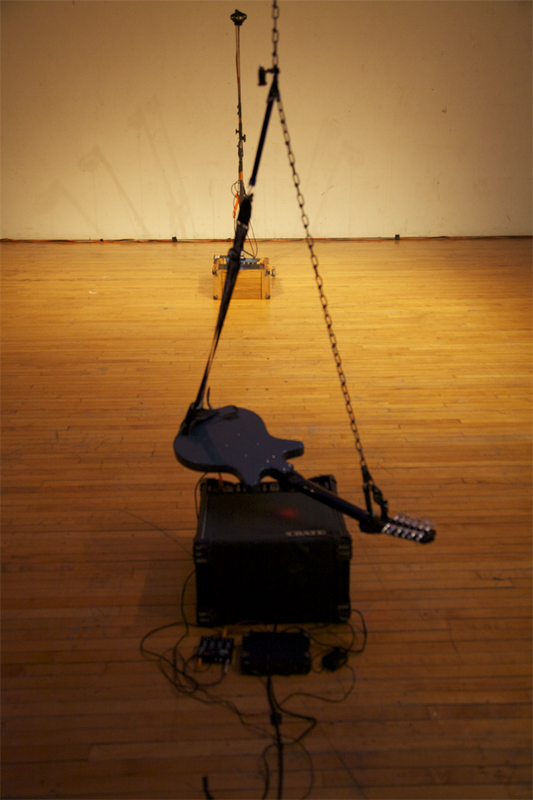 The performance began with each microphone and guitar being pulled back and released to create rhythmical feedback as they swung back and forth like pendulums. 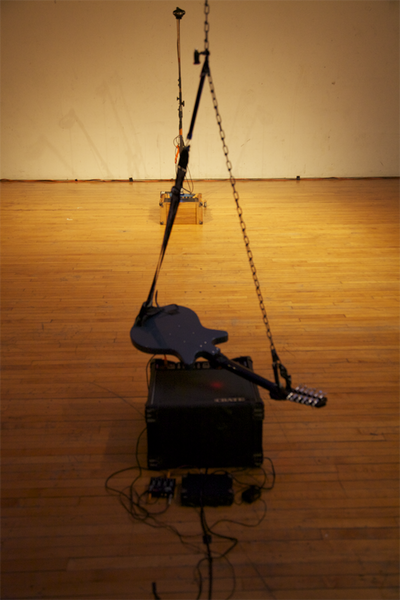 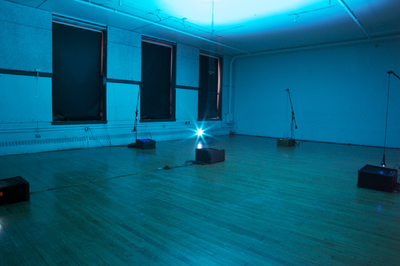 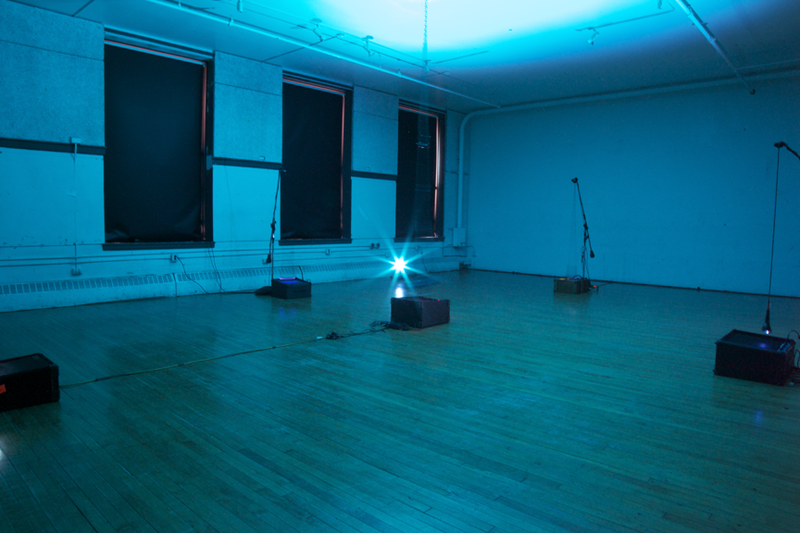 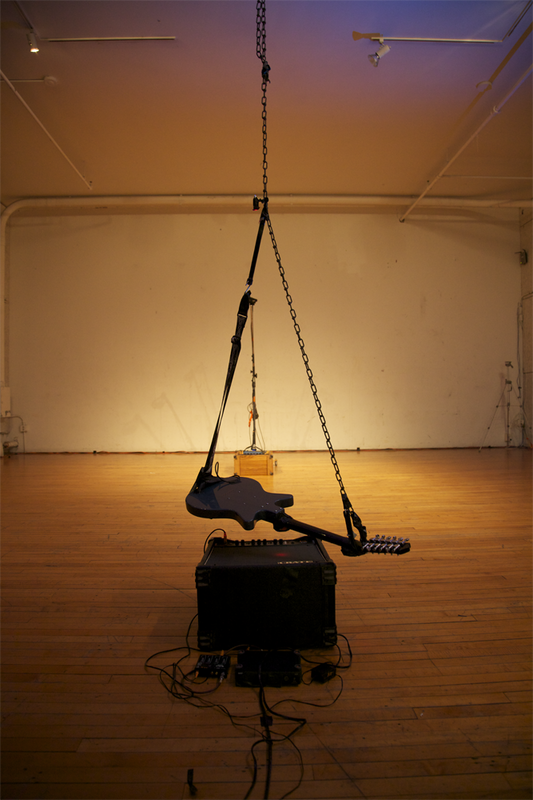 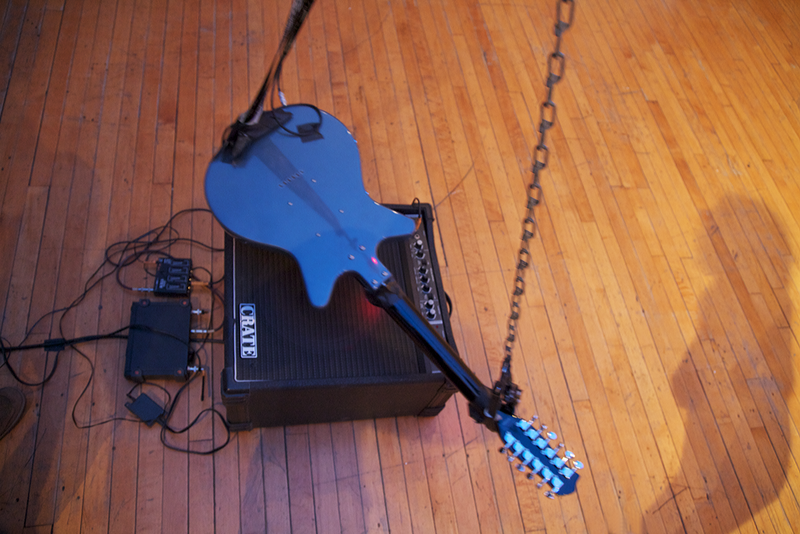 After about 7 minutes, each microphone and guitar came to rest above the amplifiers, creating a steady drone at which point the amplifiers were shut off, ending the performance.